Toastmasters Speeches: Evaluation & Feedback Second Speech-Sample IP1, "IF-Intermittent Fasting"
Evaluation & Feedback Second Speech-Sample IP1, "IF-Intermittent Fasting"
This speech was delivered at the Metro South Toastmasters Toastmasters Club (MSATC) in their Feb 3, 2018 Toastmasters Meeting at Social Space Co-working, CTP Alpha Towers. This version addresses and incorporates the feedback on the first version of the Evaluation & Feedback Speech. Parts of the speech text below that are in red show the added changes. Usage of jargon have been deleted. For those of you who are familiar with me or who know me, and there are several, who among you thinks that I lost weight? Yeah? Yes, actually, I did! Since October of last year, I lost 28 pounds. That’s 28 pounds in 4 months. So that's roughly 7 lbs in a month or 1.75 pounds in a week. Now, the conventional thinking is that 1 or 2 pounds of weight loss per week is safe. So that weight loss is still safe. Would you like to know how I did it? Good evening everyone. In May of last year, I had a routine regular exam for blood chemistry. And for the first time, the results showed that my my cholesterol levels were abnormally high. I wasn't feeling anything unusual, but the doctor suggested I take statin drugs for one month to lower cholesterol. I have been reading some negative comments about the danger of statin drugs, but still I took them. In September, I had another blood exam, but the cholesterol levels were STILL both abnormally high. I felt the statin drugs did nothing for me. Now, I found it strange that the consulting doctor STILL prescribed statin drugs, and this time for a longer dose - 2 months. And I was asked to lose weight. While browsing the internet, I stumbled on the work of a doctor kidney specialist named Dr. Jason Fung who treats diabetic patients in Canada. He is one in the growing list of doctors who claim that health conditions like high cholesterol and high blood sugar are a result of metabolic disorders that lead to obesity. And Dr. Fung is a proponent of an eating pattern to treat metabolic disorders. That eating pattern, not a diet, is called Intermittent Fasting or IF. Have you guys heard of IF or Intermittent Fasting? It's really just fasting, but done intermittently, or, in breaks, not continuously. Fasting is an old concept. It’s as old as time, really. All religions have it, the Buddhists, the Hindus, the Muslims with their Ramadan, Christians at Lent. Incidentally, Lent starts next week and, oddly, on Valentine's Day! How is Intermittent Fasting done? It is really up to you, how you want to fast – how much or how little. As for me - no eating, just water and black coffee on fasting days – Mondays, Wednesdays and Fridays. And on non-fasting days, eat normally – without restrictions, anything you like. So, it’s fasting three times a week. Now, I know, I know, some of you are probably thinking, “But, Les, if I fast, I will die of starvation.” Well, let me be the first to tell you this. I did not die of starvation… fortunately! After one month of Intermittent Fasting, I had another blood chem examination and this was in November of last year. 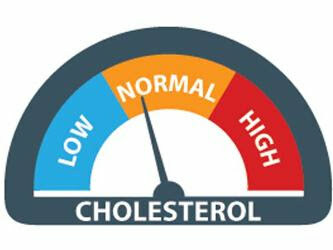 All cholesterol levels came out normal! And how much did this treatment cost me? Nothing! On the contrary, I actually saved money when I skipped meals on fasting days. The good thing that happened to me was that I hit two birds with one stone. 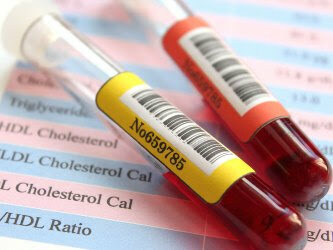 I was able to normalize my cholesterol levels and I lost weight. And, by the way, I’m STILL losing weight. So, hey. If you’re planning on having 6-pack abs this summer, this might be it. I don’t have 6-pack abs, by the way. I only have 1-pack ab. If you’re looking forward to be in a bikini this summer or the next, intermittent fasting may be your ticket. Try it. There’s nothing to lose... except your unwanted pounds. Toastmaster of the Evening.